Home > Activities > Entertainment > [SISTIC] Celebrate National Day with THE LION KING and save 25%! 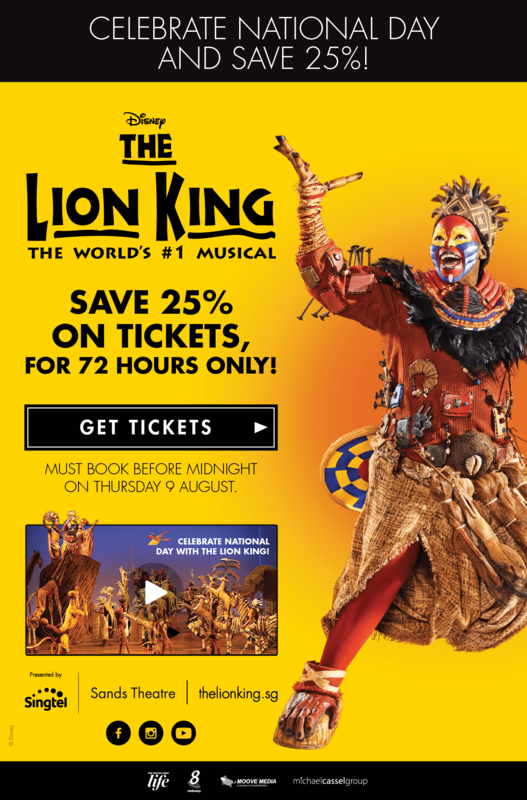 [SISTIC] Celebrate National Day with THE LION KING and save 25%! Previous: [Qoo10] NDP DEALS! $5.30 Wowo Ginger Shampoo | $9.90 L’Oreal Matte Lipstick | Free Shipping! Next: [SmartBuyGlasses] Congrats! You’ve got 12% off ANY pair of glasses   Enjoy within 2 days!